For Aperture Photography the Hudson Valley and Albany area makes wedding amazing. We are having a very busy and great year. We are located in a perfect location to photograph anywhere. The many years of shooting wedding is a huge help. But, What makes being a wedding photographer in the Hudson Valley and the whole of the Northeast is the amazing difference in venues and looking. No wedding is the same. And for a visual artist the variations in the Hudson Valley and the Mountains that jet up from the Hudson River give me so much inspiration and motivation. Just to name a few types of look are the old barns converted to wedding locations with its rustic look are the answer. The seemly endless looks like the Catskills and Adirondacks and the Hudson River and many lakes and farm lands are hard to beat. Some couple just love the high style and elegant venues the are located everywhere may be just your style. Aperture Photography is lucky to photograph them all. No matter where or what venue your prefer you can count on Aperture Photography to capture the look, feel and feel. You will be left with the memories that will last forever and the knowledge we have photographed them all many times. The Hudson Valley and the Catskills are world famous for it's beauty. Brides and grooms come from all over the world to get married in the scenic and historic areas of upstate, NY. The wedding photographer you choose can make the difference in weather you have a record of the beauty and importance of the wedding day. Aperture Photography has photographed wedding in almost every town and venue. 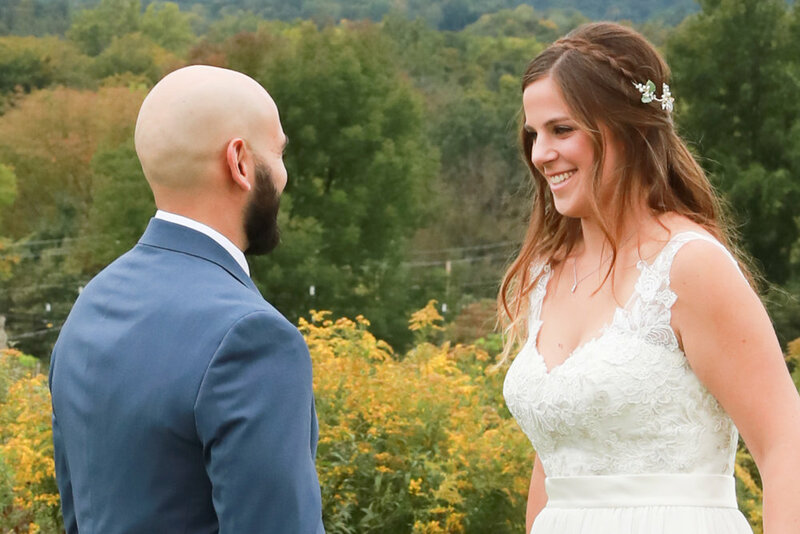 What is important to understand is the need to have a real professional photographer who has had photographed wedding in the beautiful location the Hudson Valley and Catskills provide. Style is also important. The difference between a wedding photojournalism approach and a more editorial approach are important. Forget the trends some photographers are marketing. Overtime the photographs will not stand up and look dated. If you want you wedding photography in a organinic photojournalistic style, make sure you communicate to your photographer. If you want a more stylize magizine look we can do that too. Call or contact us at Aperture Photography and we will help you have the wedding photography and wedding memories you want. The act of getting married means many things. Love, commitment, change and a start of a whole new life. Wedding are complex events. There is much to do and the feeling that everything must be perfect . Perfection should also mean fun and the absence of anxiety. Fun needs to be right up there on the priority list. 1 year of planning and stressing out can be avoided. Hire professionals with a good track record and that will solve most of your problems. Weddings are not an event to take chances. I feel as a wedding photographer with more than 20 years of experience that all you have left after the wedding is a collection of beautiful professional photographs. You can look make and relive one of the most important days of your life. Sure it is tempting to hire a semi pro photographer at low prices. But hiring a weekend warrior is like riding on a plane with no landing gear. We are located in the Hudson Valley minutes from the New York Thruway and minutes from the Kingston and Hunter and Windham Mountains. We travel anywhere. I see the beauty of my bride and cannot believe how lucky I am to have " married up ". I think of the three children we have and the joy they give me. Living history, beauty and joy. Not just a collection of wedding story, but a story of a collection of family, friends and love. This brings me to the importance of having a wedding photographer like Aperture Photography document your life. We are a business, but more importantly we have a passion to give our brides and grooms and families with a beginning, a story a history. I really mean it when I say " It is more important than the money to me "
Aperture Photography wedding photographer will travel anywhere to give you the story of your day. we are base in the Hudson Valley and photograph weddings in the Albany, Upstate, Poughkeepsie, Fishkill and are minutes from most locations in the Catskill Mountains. Hunter, Windham and Mohonk are close by and we know them well. Although, I spent a lot of time photographing weddings throughout Upstate, NY and New York City, I just love the mountains of the Catskills and Adirondacks along with locations like the Mohonk Mountain House, The Full Moon Resort and Onteora Mountain house, The small villages of the mountains have such charm. They have wonderful mountain light and the old buildings are decorated beautifully. This is a shot from a wedding in the village of Tannersville, near the Hunter Mountain Ski Resort. Yesterday I photographed a wonderful couples engagement photographs. I often photograph weddings in Hunter, Tannersville, Windham, The Full Moon Resort and Mohonk Mountain House. Every time Aperture Photography a photograph a wedding or engagement session I find new places of beauty to add to my collection of places to take my brides and grooms. The thought of a Catskills wedding or engagement session trills me. I cannot help but look forward to creating great photographs for my customers. What makes it all the more exciting is that there is little traffic and you can get to many wonderful sites in minutes. From Hunter Mountain and The Copper Tree Inn there are 10 places at least that are simply beautiful and most just 10 minutes away. The Catskills are simply photographic paradise. Among Aperture Photography's favorite locations are Tannersville, The Kaaterskill Falls, North and South Lake and the beautiful town of Windham, NY. Engagement Photographs are so important to kick off wedding photography. The most important aspect is the couple gets great photographs in a different location. The photographs are in non-wedding clothing, which adds to the versatility. Also, you become comfortable with the photographer. Hopefully Aperture Photography. http://aperturephoto.com . Aperture Photography serves The Catskills, Hudson Valley, Kingston, NY, Albany, NY, Poughkeepsie, Saratoga, New Windsor, Saugerties, and the entire Upstate NY area including new York City.